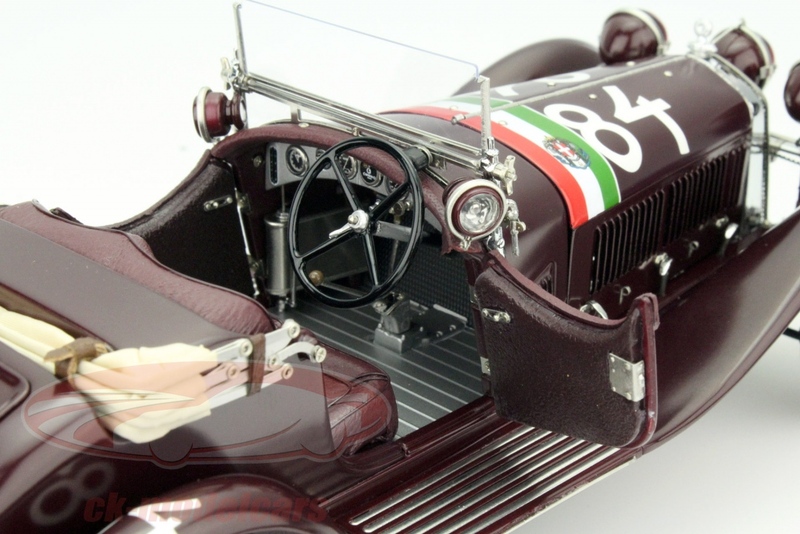 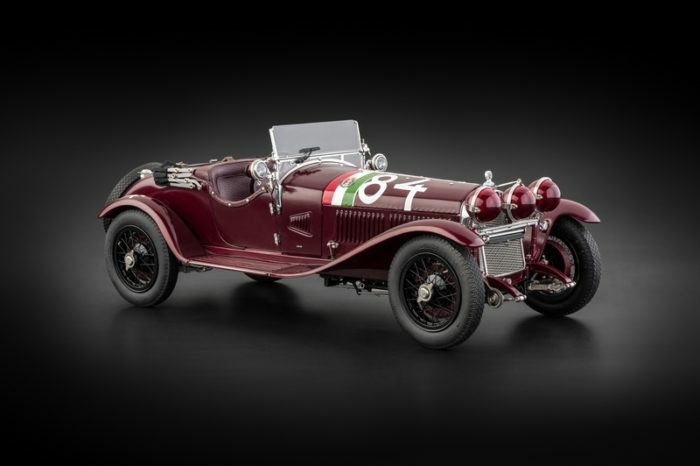 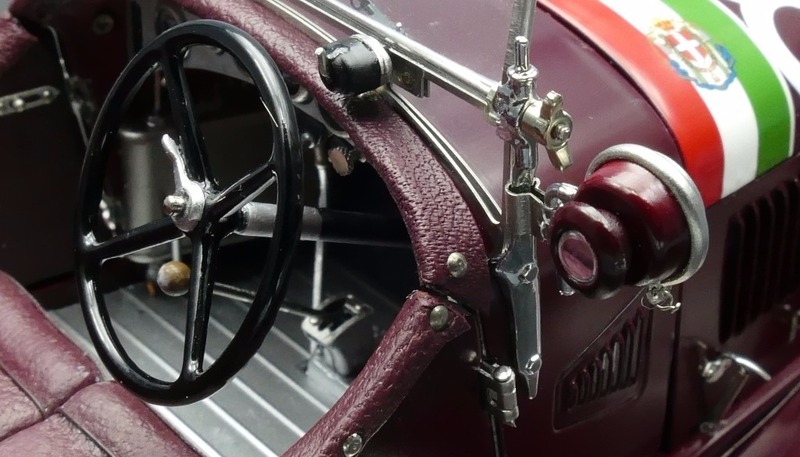 By the beginning of the 1930s, Alfa Romeo had become a standard bearer in automotive racing. 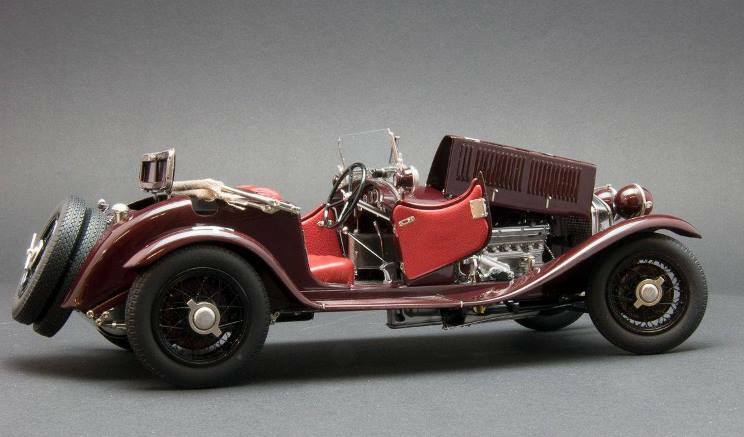 It sent four racing teams, each with a 6C 1750 GS (Gran Sport), to the endurance race of the 1930 Mille Miglia. 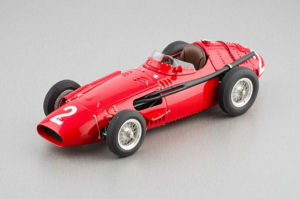 Today this race is remembered by the fierce competition that was put up by Tazio Nuvolari and his co-pilot Guidotti against arch-rival Achille Varzi. 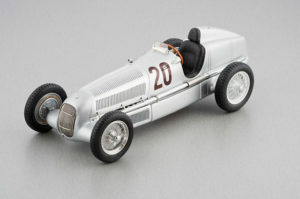 Eventually, it was Nuvolari who won out to celebrate his first Mille Miglia victory. 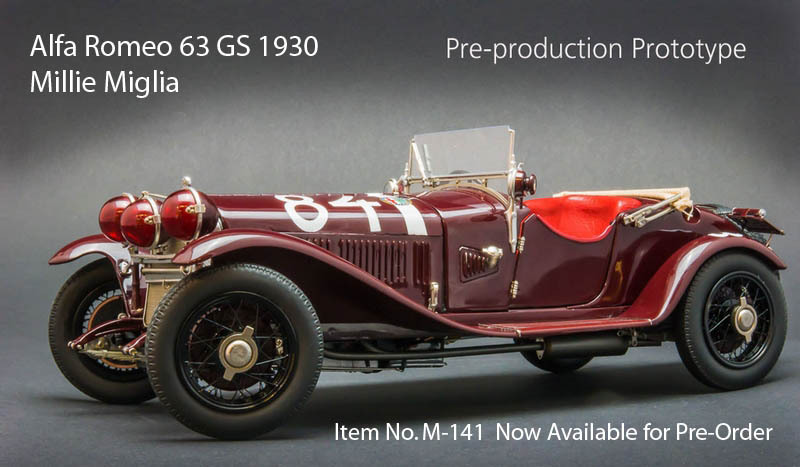 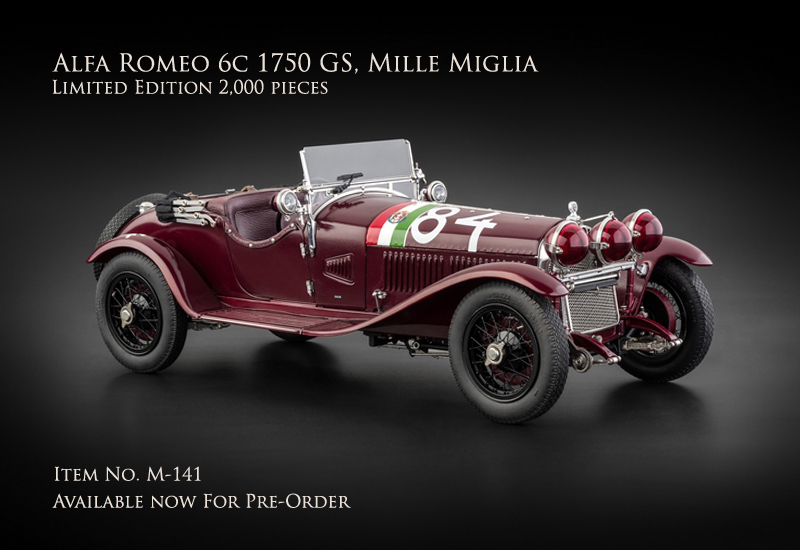 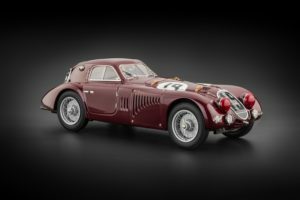 CMC has built an authentic replica of this legendary winning car with starting number 84 — a meticulously-detailed edition limited to 2,000 pieces only world wide. 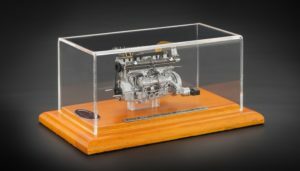 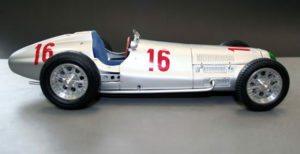 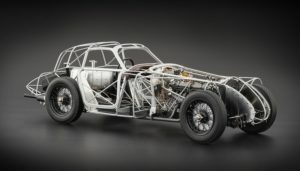 The replica is hand built from some 1,800 parts, featuring an extensive use of sheet metals in addition to block metals. 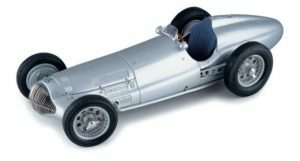 What you are looking at is a miniature of impressive charm and sporty elegance that should not be missing from any collection.